Why is the UK funding Saatchi campaign for Tunisian government? In many regards, the small north African country of Tunisia is often hailed as the only success story from the 2011 ‘Arab Spring’. While the uprising, which originated within the country and then spread to many more, has led Tunisia to navigate through the bumpy road from dictatorship to democracy, political freedom has come with a relentless economic stagnation and tax and prices increase under the government of President Beji Caid Essebsi. Raging demonstrators have taken to the streets since January to protest the stagnating economy and appalling living conditions, and as a means of injecting an enhanced political awareness and support of the government, the U.K. has just announced it will fund the international PR tycoon M&C Saatchi as it takes on campaigns for the Tunisian government. The money funding the mammoth campaign is coming from a reportedly illusive Conflict, Security and Stability Fund (CSSF), which was set up by the Foreign Office and the Department of International Development. There are many aspects to this controversial PR campaign that should be urgently and desperately made transparent. Although the U.K. Foreign Office has been increasingly public about the campaign’s parameters, adding that M&C Saatchi will not be providing their services directly to the Tunisian government, but strictly to its Cabinet Office. 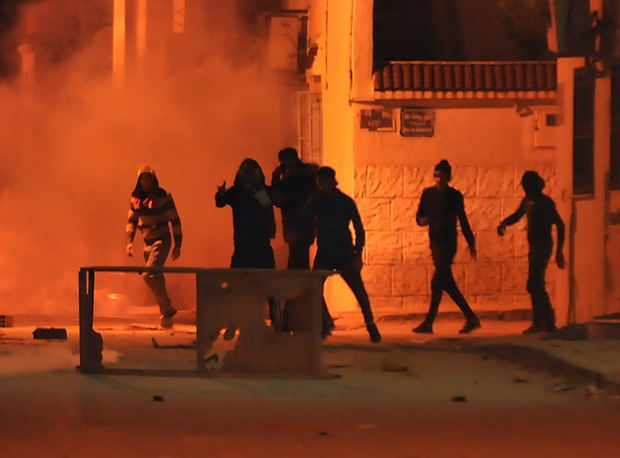 In an earlier statement, Tunisia’s Head of State, Youssef Chahed, said that his government is working hard to attend to the concerns raised by protesters and to revive the country’s economy. Whether this can be done with the help of an international PR company ran by a media giant funded by an external government, such as the U.K., is certainly up for debate. What ails Africa’s public healthcare? While housing some of the most advanced medical technologies, Africa still lags behind when it comes to its public healthcare. Is democracy a one time affair in Pakistan? With Pakistan heading to elections on July 25, will the free media stand up to military threats and keep its citizens informed as they head to the polls? June 26 marks the International Day in Support of Victims of Torture, yet the cruel mistreatment of human lives still prevails in our world. Is the High 5 agenda Africa’s saving grace? Ambitious UN Sustainable Development Goals will only be realised if they can be achieved in Africa.